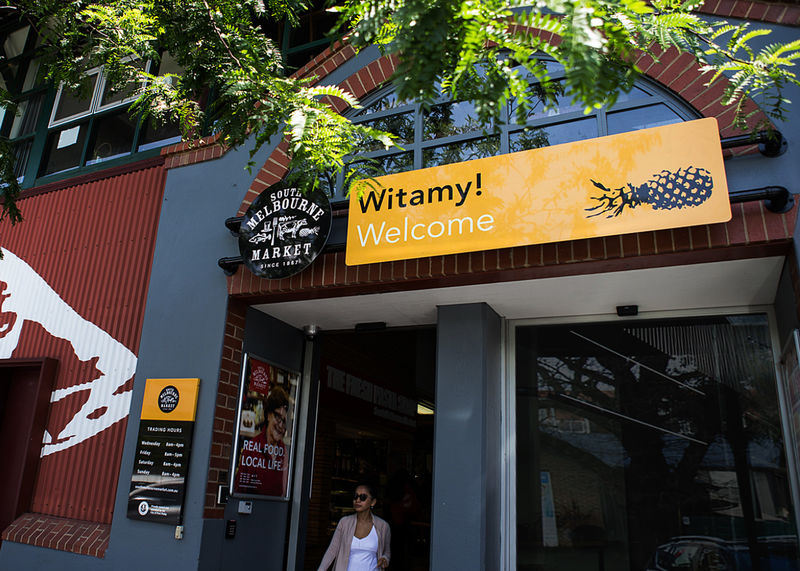 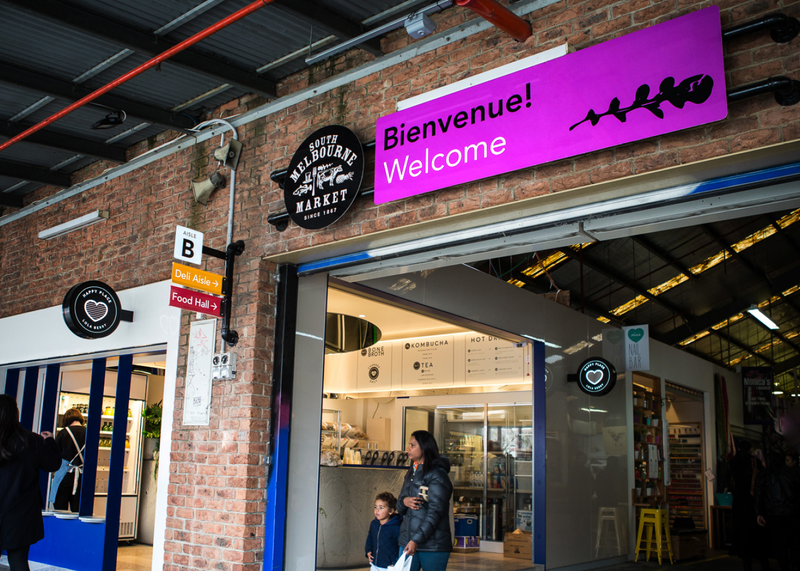 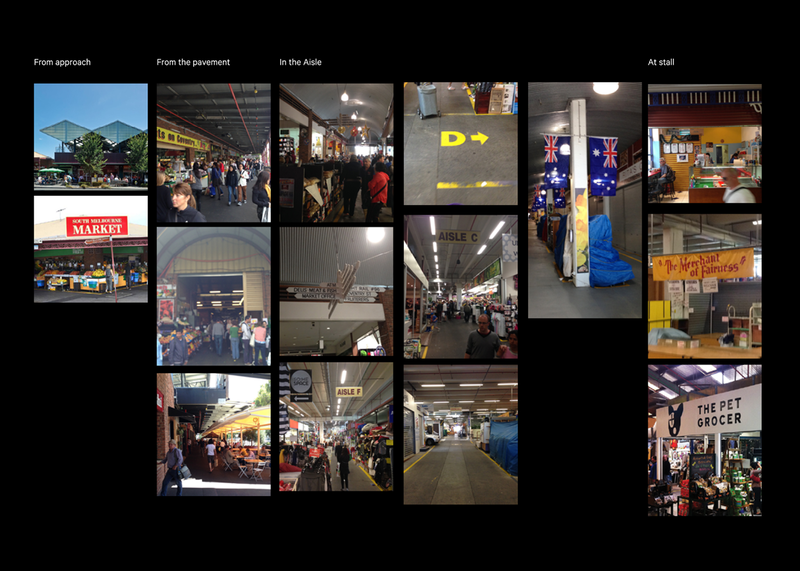 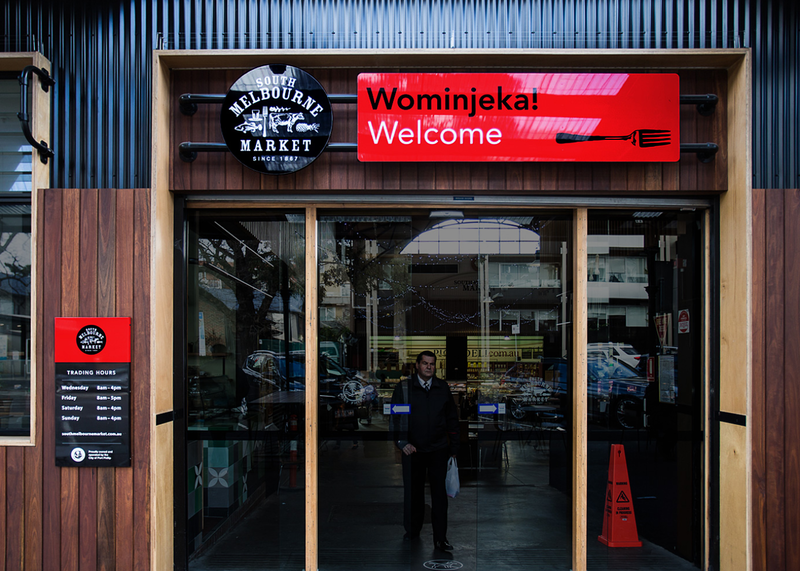 Melbourne’s iconic South Melbourne Market engaged the studio to devise an intelligent and cost-effective solution to sign one of Melbourne’s most loved council-run fresh food and product markets. 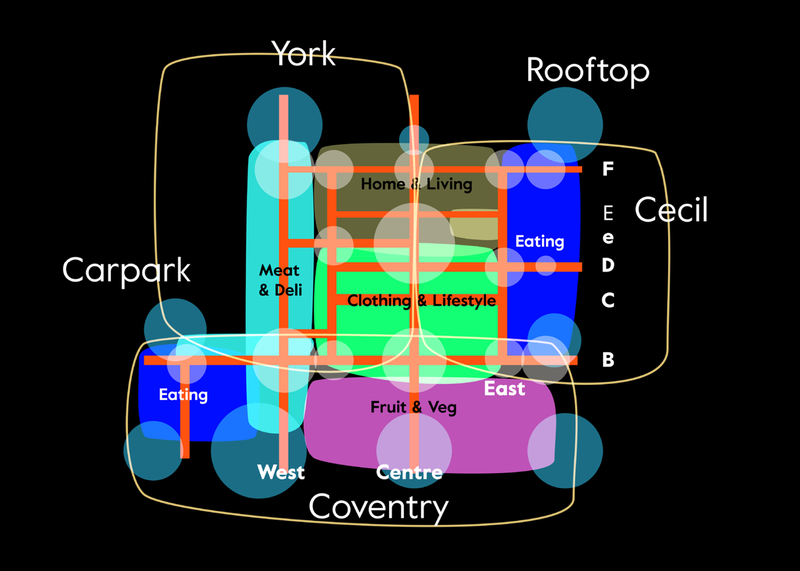 A comprehensive site audit was conducted and from this investigation, a master plan was conceived addressing – Zoning, Site naming, Mapping, Colour code, multi-approach signing. 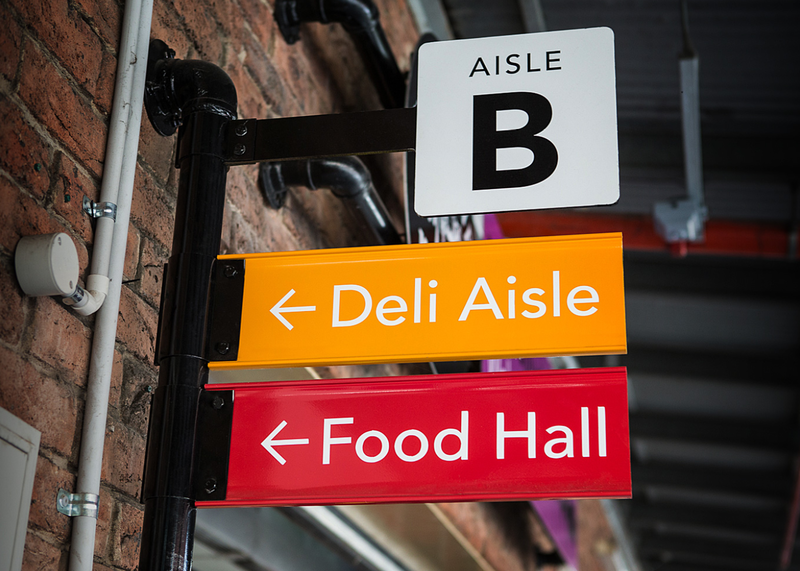 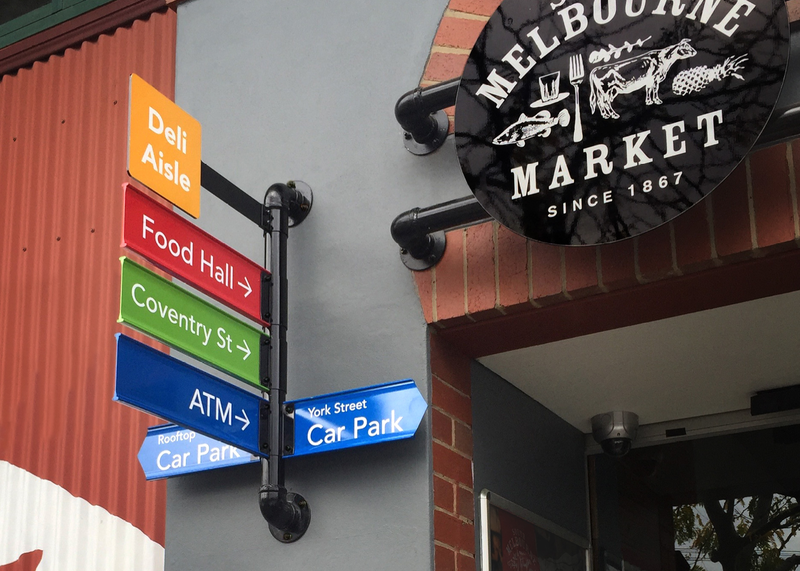 A system was developed using pre-fabricated and commercially available off-the-shelf street signage components that are resprayed and customised with typography and colour that reflected the zoning of the market. 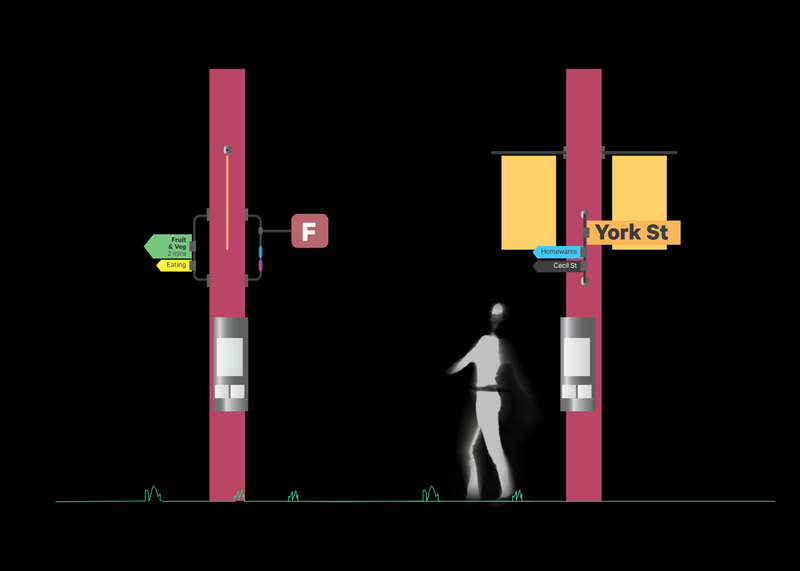 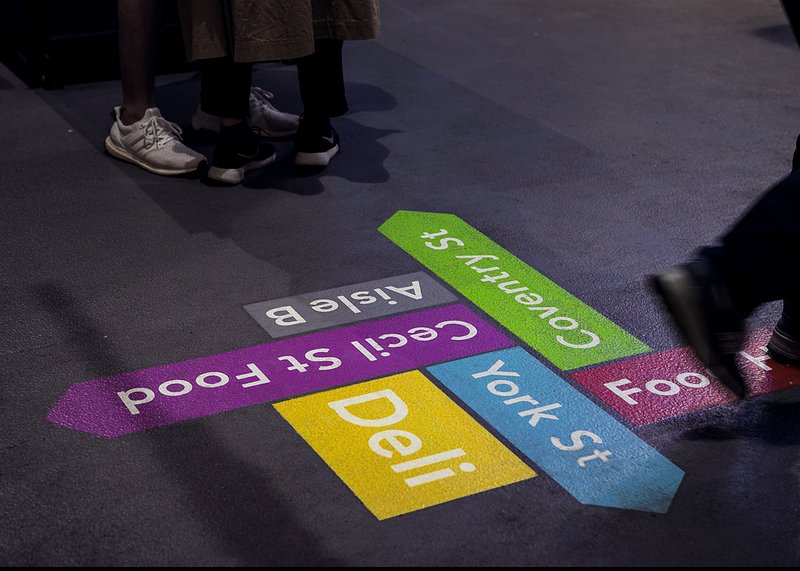 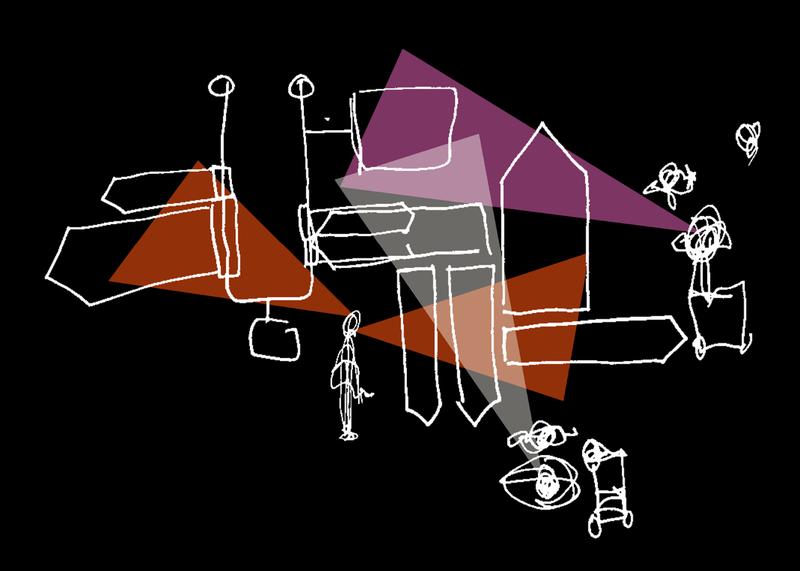 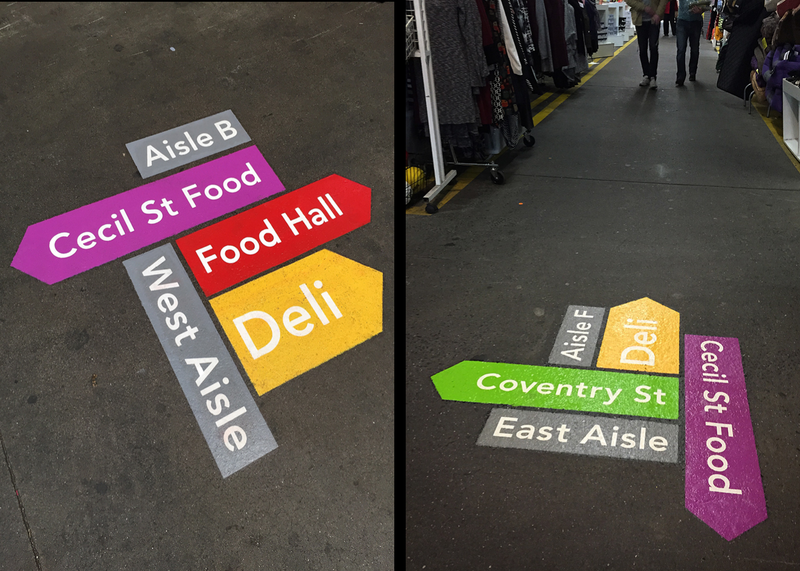 A test site was developed with Nick Lewis and these findings and tests were then successfully rolled out site-wide through wayfinding, floor stencils, hanging and entrance signage.